This past June we had our 2018 Los Angeles Summer Camp. 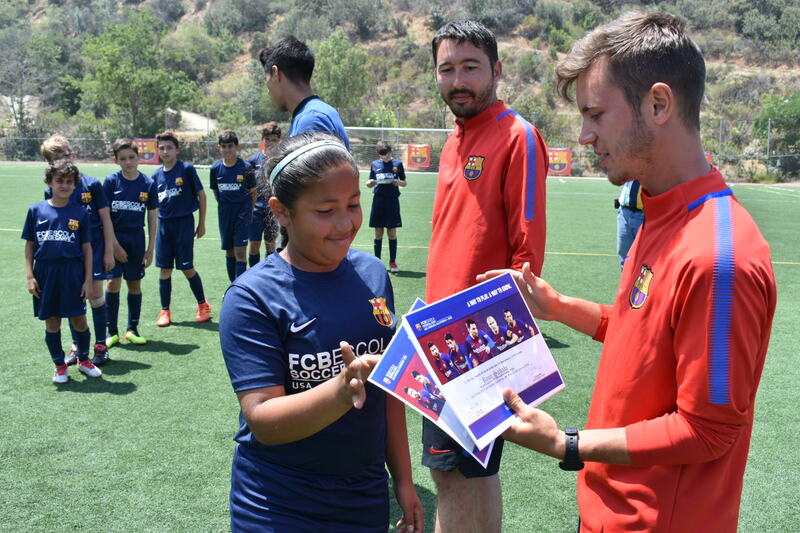 After 6 years of hosting our Barcelona Camps, we still find that each and every camp provides a special experience for not only our players but for everyone involved! We feel super grateful that we get to be a part of such a special experience for all of these years and we can’t wait to continue this journey! Checking in All of our Players on the First Day! We conduct two opening orientations; one for our morning players and one for our afternoon players. Frank, the coaches and the staff go over what we expect for the week, Barca values and rules and regulations. Afterwards, we encourage all players to try their best, have fun and work together! 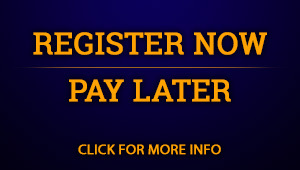 The Elite FC Barcelona Fantasy Camps are conducted exclusively by FC Barcelona Coaches. In each session, our players are sepearated by age group. 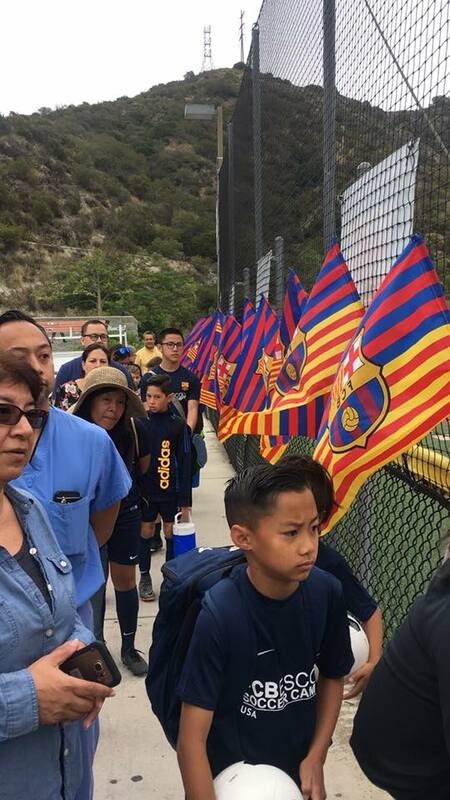 Each group will be trained by an FC Barcelona coach and will consist of 15 players at most. The age range for the Elite Camp is 6-17 years old. The camp follows the training methods of the club’s youth teams, which consist of a series of progressive exercises related to each stage or level of education and are highly based on Team Effort instead of individual efforts. 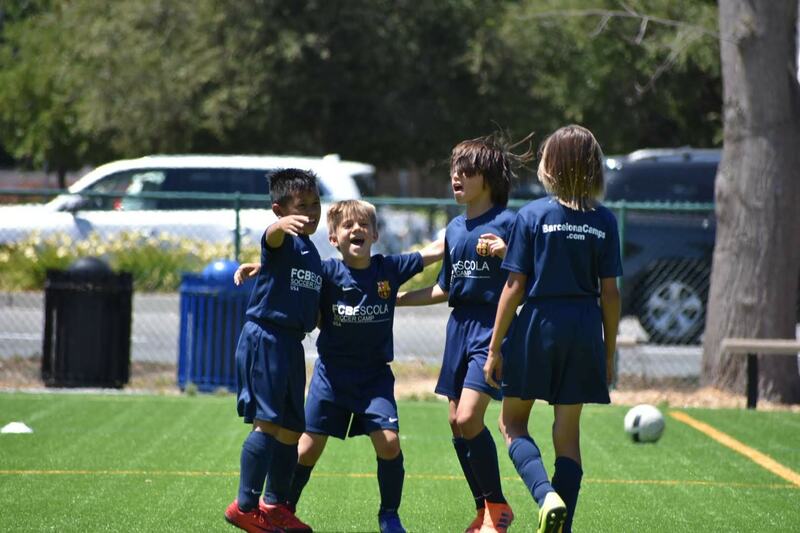 This methodology is by far our favorite thing to witness at camp because our players learn to celebrate goals and victories together as a team. At the closing ceremony, each player is honored for their hard work with a certificate and a shout-out from all of our coaches! Parents are highly encouraged to come to the closing ceremony to witness the progress of their players, and hear Frank speak about upcoming news and camps. we want to thank our coaches, staff, parents and most importantly our players for being a part of yet another successful Barcelona Camp! We can’t wait for the next one.